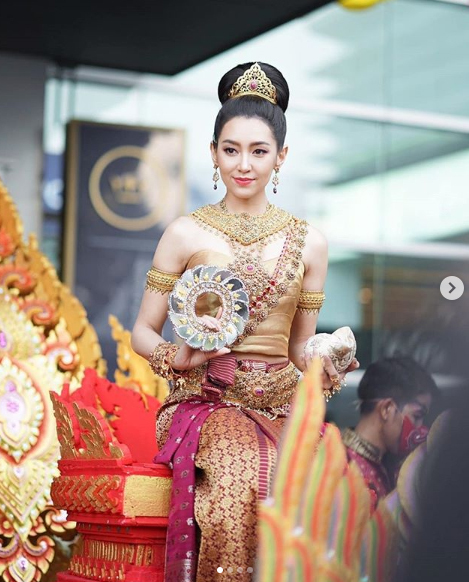 On 11 April 2019, Bella Ranee transformed to be Songkran goddess at the event held by King Power. It’s the second time for her and she looks so beautiful and fits with the Thai traditional costume. On the same day, a senior actress Anne Thongprasom also transformed into Songkran goddess at the event held by ICON SIAM shopping mall. The actress is so gorgeous as always. On 12 April 2019, another pretty actress Taew Natapohn becomes a goddess at the event held by ICON SIAM shopping mall. She is so beautiful in this Thai traditional costume.